Product Reviews. Gaming & Tech. Books. DIY Projects. Home Life. Margaritas. Howdy! Hello! Welcome! Hi Y'all! Follow the chaotic world of a single mother, country girl, tech nerd, major geek, book fanatic, food connoisseur, and shop-o-holic as she DIY's and cosplays her way through life. Oh, and she most certainly will have a few nerdgasms every now and then. Read more about my story. Welcome to Mother/Gamer/Writer for the Wicked Saints Blog Tour. For today’s tour stop, please enjoy my review of this magically delicious and bloody tale, an excerpt from the novel, and an awesome pronunciation guide! The Dysasters follows the chaotic story of Foster and Tate — two teens genetically created to bond with the elements. Check out my review, watch the epic book trailer, and enter for your chance to win a copy! A secret baby. A bearded husband. A divorce pact. Go one-click DOWN WE’LL COME, BABY by Carrie Aarons now! Dragons, magic, demons and rude royals. Find out what we thought of The Ruin of Kings in Ariel’s review. In the Mood Fur Love, an anthology of shifter romance novellas written by Eve Langlais, Milly Taiden, and Kate Baxter. See if these shifter romances are hot or not in Ariel’s review! Gena Showalter is back and with new Alpha’s to keep you up at night. Check out my review of book one in her new Gods of War Series, Shadow and Ice. It’s finally here! For all types of paranormal fans, Gena Showalter is back with another hot and steamy adventure! 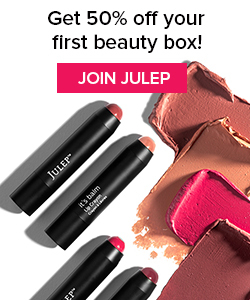 Get #Ipsy, #LootCrate, #Julep, #FUNKO, #Books & More! Ask me how you can save or get it free! Want a cheap nerdy subscription box? Check out my latest LOOT Crate Unboxing. Check it out... Love Make-up? Don't miss my latest Ipsy Glam Bag Review! See More Subscription Box Reviews & Unboxings by MGW! Beauty, geeky, Crowdtap Samples and more! Like what you see? Get MGW posts in your inbox! ©2011 - 2019 - This Blog And All Custom Images Are Created By Mother/Gamer/Writer And Are Under Copyright Protection. Please Do Not Share or Reproduce Without Permission. Only Images With Grab Codes May Be Reused. Furthermore, All Reviews Are the Thoughts and Opinions of Their Respective Authors. Phrases, Sentences, Paragraphs Are NOT To Be Used OR Quoted Without Written Permission For Any Purpose. Visit Diayll ♥✍ Writer/Gamer/LipstickLady's profile on Pinterest.